Etched brass pub sign - The Wheatsheaf. 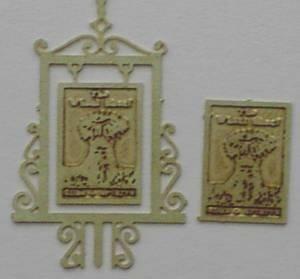 Total size = 31mm tall x 19mm wide (sign = 13mm tall x 9mm wide). Suitable for 1/48th scale or O scale model railways.